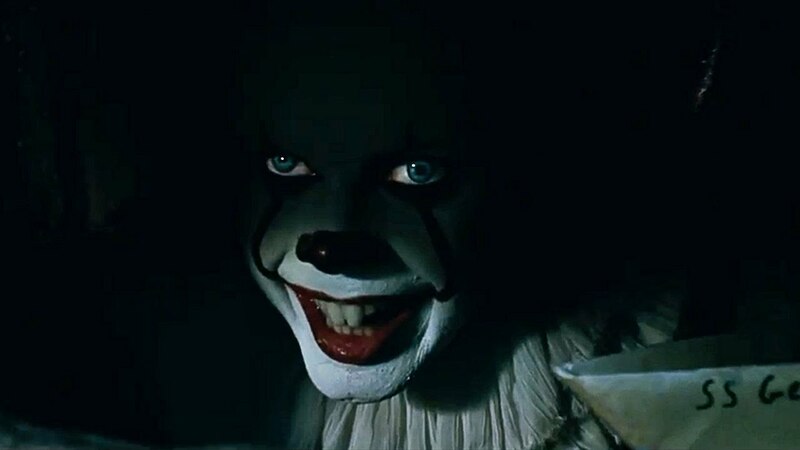 The first part of two films, intending to adapt Stephen King's doorstop of a lengthy book, it hasn't been the smoothest journey to reach this point. Originally envisioned by Beasts of No Nation director, Cary Fukunaga, before creative differences intervened and Mama director Andy Muschietti took over. Thankfully, the behind the scenes drama is not reflected in the final on-screen product. In the town of Derry, local children are vanishing without a trace. One of the first is the younger brother of Bill Denbrough (Jaeden Lieberher), who was dragged away by a demonic entity known as Pennywise (Bill Skarsgård). Led by Bill, a group of kids who dub themselves "The Losers Club" each encounter this shapeshifting presence, and are determined to stop It. Details of Fukunaga's original vision are floating around online, but what has been brought to screen is a streamlined version of the books events. Set now in 1989, moments are changed in order to fit a cinematic adaptation, while still remaining true to the source material. While the scares could have been a bit more plentiful, Muschietti does a terrific job in effectively building the atmosphere. Even if you're familiar with the book, real peril is felt for each character, with one moment involving a projector working especially well. No matter what terrors are brought on-screen, Muschietti ensures the film never loses sight of the characters. They each have their personal troubles, the resurgence of a child murdering clown just happens to exacerbate things. It helps that the talented cast are more than ready to sell the effect their own demons has on them, be it an overbearing mother, a broken family, or skin-crawling encounters with their father. No major character is left two-dimensional, even allowing a humanistic moment for Henry Bowers, as the bully is shown to get it just as bad from his own father. The Losers Club are each portrayed wonderfully by the talented cast, a tremendous assortment of young actors with promising futures. The most impressive is Sophia Lillis, who phenomenally gets across the dismal life Beverly has had to endure, and how she manages to rise above it all. Credit is deserved for Finn Wolfhard, who proves himself a scene stealer as the motormouthed Ritchie. Each are given their own unique characterization which is brought to the screen wonderfully. It's a shame Mike Hanlon feels underutilised, but in spite of this fault, the chemistry is completely believable, invoking Stand By Me and The Goonies in the best possible ways. Whatever thoughts remain of the 1990 mini-series, Tim Curry delivered an impressive enough performance to be considered iconic. Luckily, Bill Skarsgård manages to escape from the shadow of his predecessor, delivering a performance that deserves to be remembered more than 27 years later. A compelling presence that's devilishly humorous, deliciously engaging, and downright frightening. No matter how a big a smile is shown on his face, the look in his eyes is completely bone-chilling. It all leads to a visually fluid finale, which allows the characters to function as a coherent unit. Not only is this a showcase for the power of Pennywise, it does a good job depicting how far each of them has come, and strengthening their bond against the villainous creature that has long haunted Derry. As this story comes to a close, it does wonderful work setting the stage for the next instalment. 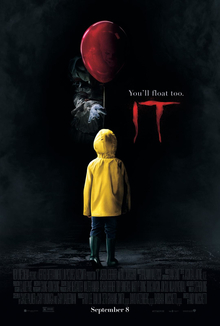 An emotionally affecting tale about children coping with their personal troubles, not helped by the timed resurgence of a murderous clown. It is a stunning first part in adapting the lengthy tome of the same title, while allowing for charming and hilarious moments to shine through. It remains to see whether Chapter Two can satisfyingly complete the story, but on the basis of this film, hopes shall remain high. Bring on September 6th, 2019.